This post is a paid sponsorship with Sprouts Farmers Market. 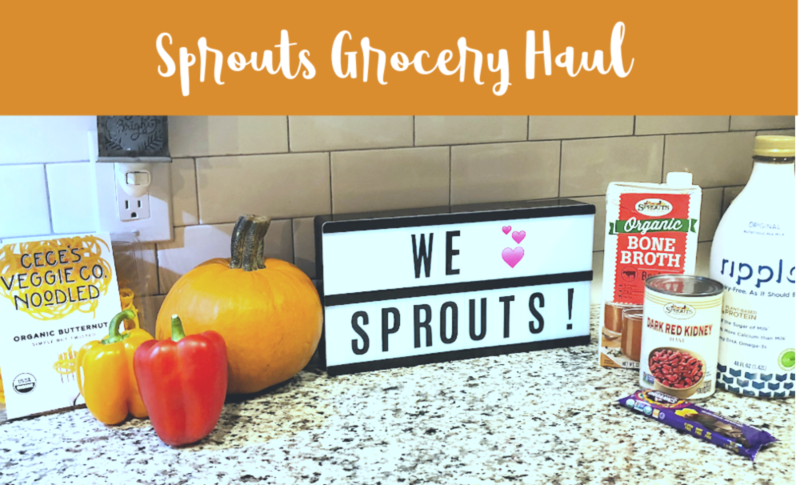 If you follow me on Instagram (@BackToCalley) you may have noticed that we toured our local Sprouts grocery store last week for a blogger/influencer event. We were guided by a dietitian, Abigail Dougherty, who talked about some of the plant-based options that are offered at Sprouts. My daughter tagged along on the tour and we both got to sample a variety of plant-based foods, drinks and desserts. As part of the campaign we received a gift card to come back and shop with so I thought it would be fun to show you what we brought home. With this weeks meal plan I am trying to incorporate some more fall veggies with a little more variety than our boring broccoli and green beans! Funny side story, after I filmed the video I realized that I was missing an entire bag of groceries. Of course it was the bag with the receipt in it so I didn’t even know what I was missing! I got back in the car to drive back to Sprouts. On the way there I realized where the bag was and called back home. I had given the bag to my daughter to carry inside and she promptly walked into the house and dropped it at the front door. This is where we store our reusable shopping bags so I didn’t even notice it was sitting behind the door! Monday: Chicken Fajitas – baked chicken thighs served on flour tortillas with yellow rice and sauteed yellow peppers, red peppers and onions. Topped with fresh guacamole and your favorite toppings. Tuesday: Beef and Veggie Stew – I’ll probably toss everything in the crockpot in the morning and let it simmer all day. Stew meat, potatoes, and carrots with some beef stock/broth. Wednesday: Taco Soup – Ground beef, canned corn, taco seasoning, tomatoes, and a variety of beans. …I don’t typically meal plan Friday-Sunday since our schedules are crazy on the weekends but rather have a few meats and veggies ready to go when we need them. If you sign up for the Sprouts newsletter they’ll send you seasonal recipes to try. I have all the ingredients for Slow Cooker Chicken Zoodle Soup ready to go! Can’t wait to give that one a try. How do you incorporate more veggies into your meals? Are you kids picky eaters or are the willing to try new things? My little one has her own YouTube channel and wanted to make a video of our tour around Sprouts last week. She’d love a few views on her video and maybe a comment or thumbs up! !